The Netflix series “House of Cards” has a call out for kid extras to work in costumes for a Halloween scene that will be filming mid month. The show’s extras casting directors with MHC Baltimore are looking to cast kids who either have home made Halloween costumes that they may wear on set or that fit into specific sizes for costumes that the production has already. Please note that costumes cannot have a trademarked character or logo on them. For example a generic princess costume is OK but a Disney princess charterer in not OK. Please see below for size chart and more information on how to submit your child to the casting call. “House of Cards” also has a featured role available for a little boy to play “Ben.” Ben is described as a Caucasian Boy around the age of 9 with hazel or green eyes. The Netflix streaming series has just begun filming season 5 in and around the Baltimore, Maryland area. 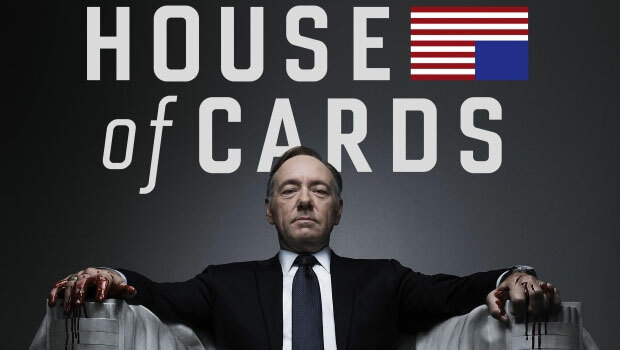 “House of Cards” focuses on Frank Underwood played by Kevin Spacey, a politician from South Carolina who, after being passed up for Secretary of State, Frank Underwood gets downright dirty as he attempts to gain more power. By season 3, his scheming has risen him to the Presidency. Claire Underwood, played by Robin Wright, is his wife and she proves to be just as ruthless and power hungry as her husband, Frank. While no actual release date is set for “House of Cards” season 5, it’s safe to assume that the show will be premiering on Netflix in early 2017 and fans can expect the show to be available for binge watching sometime in February or March of 2017. The previous season premiered in March while the 3 before it all came out in February. “House of Cards” is based on a BBC show of the same name and is produced by David Fincher, Kevin Spacey, Joshua Donen, Beau Willimon, Eric Roth, Michael Dobbs, Dana Brunetti, and Andrew Davies. We are looking for children to work a “Halloween Scene” in full costumes! If you have a home made or Non-Trademarked costume for your child- please submit a photo. Parents may need to accompany their kids for the day on set as “Background Actor Parents & Kids” together. Please look at size chart attached. We mainly have costumes for Children sizes Small-Large. PLEASE MAKE SURE TO ANSWER ALL OF THE FOLLOWING INFORMATION REQUESTED BELOW. Be sure to also check out other shows, movies and TV commercial that may be casting kids.